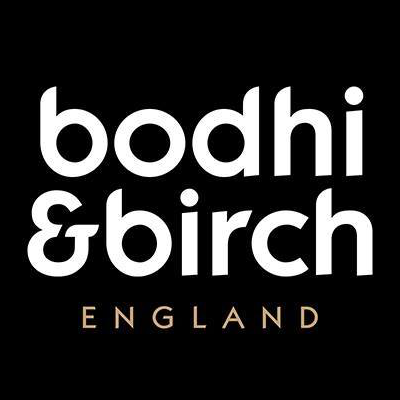 From British eco-luxury skin care brand, Bodhi &amp; Birch. Protect and nourish hands with anti-ageing Olive Squalane and Rosehip Seed Oil plus antibacterial Lime and Green Mandarin. A fast penetrating oil serum to deeply nourish skin and cuticle, shield skin from free-radical damage and diminish the appearance of skin ageing, spots and blemishes. 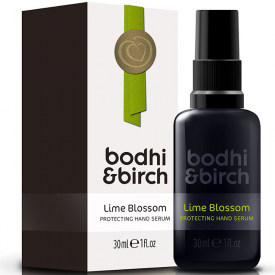 Leaves skin feeling dewy soft, hydrated and deliciously scented with an uplifting fragrance of citrus flowers. Massage one or two pumps into hands daily, paying attention to cuticles. I love this artisan British eco-luxury skin care brand, based in Warwickshire. 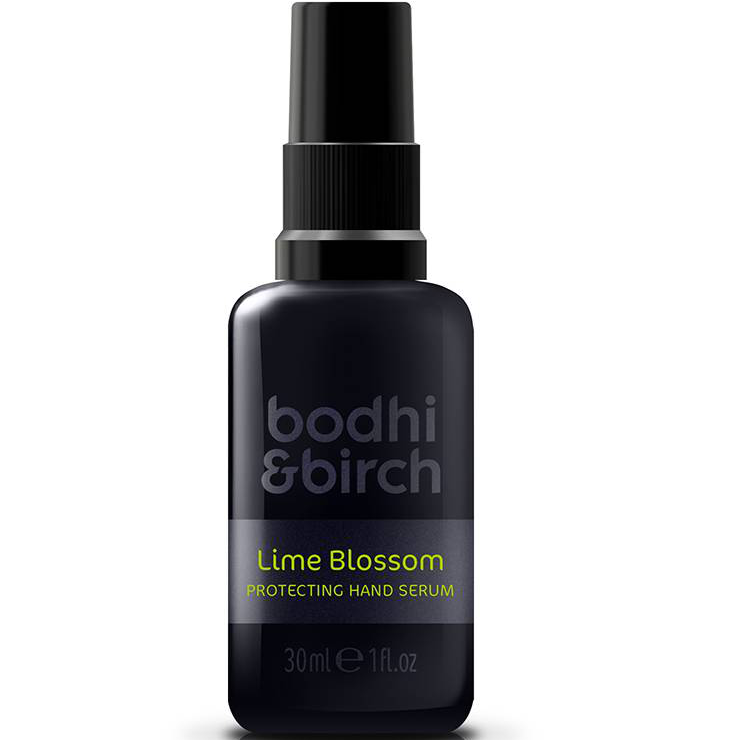 The Lime Blossom hand serum is something unique to the hand care market. Works beautifully if you have problems with very dry hands, dry or damaged cuticles and/or nails or if your hands are exposed to the elements or strong cleansers. The scent is light and very pleasant and the serum sinks straight into the skin. Also available in 5 ml purse/travel size. All Bodhi & Birch products are made in small batches using natural and organic ingredients. Packaging is recyclable. Easily absorbed, works beautifully. Comes in both 30 ml and a 5 ml travel size. "I love this artisan British eco-luxury skin care brand, based in Warwickshire. 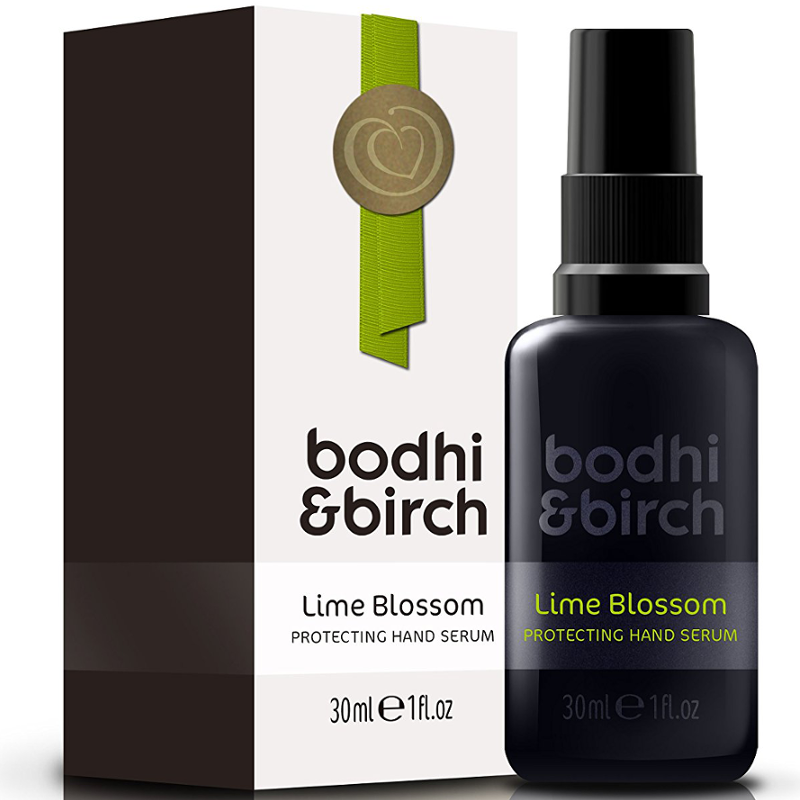 The Lime Blossom hand serum is something unique to the hand care market...."